This Seventy 8 is a brand new Lagoon motor yacht that comfortable sleeps 8 guests in 4 en-suite cabins. Due to her 36ft beam, the Lagoon Seventy 8 provides guests the volume of a much larger yacht both in the sleeping accommodations, main salon & exterior deck spaces. The Lagoon Seventy 8 has 3 dining areas: formal dining is found in the main salon & the aft deck has a nice covered settee great for enjoying breakfast or dinner outside. The third dining area is on the upper deck adjacent to the full-service bar. This space will be great to enjoy lunch or dining under the stars where guests can enjoy a 360 degree view. 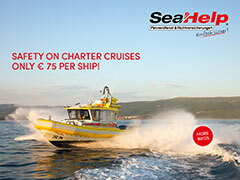 NEW bookable with us Manhattan 70 – Crewed Charter in France for max. 8 persons. Set sails in 2019 with this amazing boat, confirm now your preferred week! NEW in Charter Princess Y82 – Charter with Crew in Balearics for max. 8 guests. Enjoy an unforgettable vacation, confirm now your preferred week!